Phu Quoc has been one of the most famous tourist destinations in Vietnam. 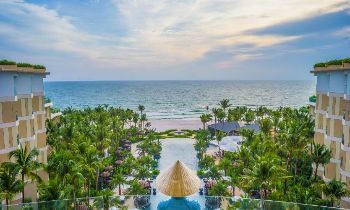 Being the cleanest beach as well as one of the most beautiful ones in Phu Quoc, Dai beach has all the factors making of a perfect paradise oasis. If you are a sea lover, Dai beach is a must-visit destination. Being listed 20 idyllic beach getaways in May 2010, Dai Beach is a remote and wild beach rising up into sand dunes and stretching out as far as the eye can see. Located in the north-west coast of the Pearl island, Dai beach is 26 kilometers from Duong Dong town, and it may take about 30 minutes to get here by boat. Regarded as one of the biggest & most wonderful islands of Vietnam, Dai beach is an isolated paradise with the brilliant golden sunshine, calm and warm seawater, and the peaceful atmosphere. The water here is clear and crystalline with the yellow and white soft sand. There are coral islands that take just 10 minutes to reach from the shore by canoe. Heading to the coast here from Duong Dong, visitors can see the squids and anchovies dried on racks on two sides of the road. 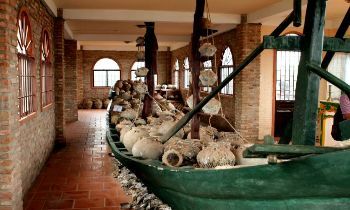 These anchovies are used to make the fish sauce that is the most famous and pungent specialty of Phu Quoc. The Turtle Island offshore is truly a snorkeler's delight since it is the home to many beautiful coral reefs as well as tropical fish species. It's amazing to look at the Turtle island from the shore and decide whether it onresembles a turtle. Truthfully, Dai beach has a better reputation than Phuket that is a famous Thailand island and has been overrun by tourism development it has a better reputation than Phuket, a famous Thailand island, for the latter has been overrun by development for the latter. In fact, there are few travelers as well as infrastructures, making the beach more deserted, simpler and quieter. After the morning discovery of Duong Dong market, your beach holiday is ready, to begin with, the white sand and the tropical water. There are many choices to spend your daytime. What about roaming along the endless shoreline up to the north zone of the beach or wade out for miles in the shallow water and you can see crabs swim by? It's a good idea to take a nap in an abundant hammock or lay down a blanket and read under the shade of a quivering coconut tree. 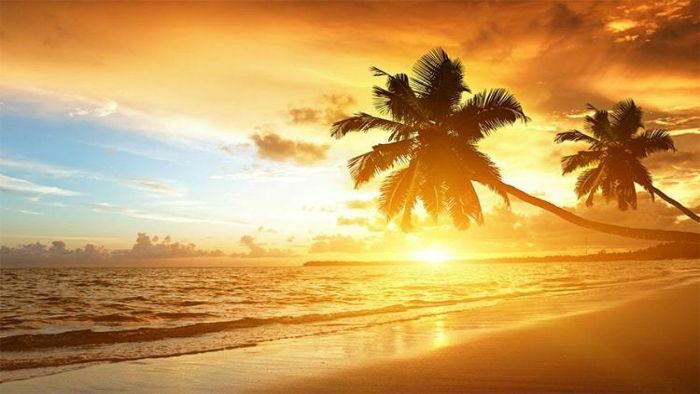 You can sunbathe under the bright golden the sun, snorkel, scuba fishing, or rent a yacht and let it take you to fish. Do not hesitate to try something you have never done before such as wind sailing, squid fishing, and jet skiing. All sounds incredibly insane, but why not? You are in Phu Quoc! Additionally, abundant seafood, as well as local specialties, will wake up your taste. Whatever your definition of “relaxation” is, you are sure to be able to do it on Dai beach. When the night comes, there may be not many things to do. The beach still takes on itself the original serenity and tranquility, leaving a romantic time for those who are frequently trapped in the modern bustling life and rarely admire the natural beauty of the outside world. Why don't you walk on the beach, have a bonfire aside your tent, enjoy the refreshing atmosphere of the sea or meditate? Dai beach knows your worries and it will help you take them away. In case you don’t want to reserve your own taxi and the driver won't wait for you at the beach until you’re ready to leave, plan carefully how to return back to your accommodation. There is a likelihood that the cab driver who drops you off doesn't understand English and he won’t mean to come back and pick you if you don't propose. If necessary, install a translation app on your phone. There are some vendors, but they only sell the body care services such as massages, hair plucking or manicure; or available great-view cafe' with hammocks, but having no food only cold drinks to chill. Food orders can take a lot of time to arrive. Therefore, it's better to carry your own food and drinks. A couple of water bottles and some handy cakes will be useful. It's advisable for you to carry toilet paper and sanitizer in case you need to wash or clean your hand. The washroom which is an outhouse with a hole in the ground toilet and a basin of old water is scary. Sun-seeking travelers will surely find Dai beach an undeniable escape during their trip to Vietnam. The magic of this fabulous beach lies in the sparkling white sand, the calm turquoise water, and the appealing isolation. Do not hesitate to visit Dai beach during your Phu Quoc tours and get the marvelous moments in this tropical paradise on earth.